Diversity Fair is a tremendously popular event and was attended by 250 people this year. This year’s head event planner, Ashwini Joshi (M.P.H. candidate, 2018, epidemiology), speaks about why it is important. Joshi is also associate director of the School of Public Health Student Association. Joining her in planning the event were numerous officers from the association, including executive director, Angela Frazier (M.P.H. candidate, 2018, community health practice). The students formed committees for booths, performances, food, finance, advertising and communication. and one U.S. region – Pacific Northwest. In addition to celebrating culture, the fair featured foods from many countries, and six performances (see list at the end) representing the global talent of the school’s student body. Support for Diversity Fair was provided by UTHealth School of Public Health Office of the Dean, UTHealth Student InterCouncil, McGovern Medical School at UTHealth Office of Diversity and Inclusion and faculty members from the School of Public Health. Diversity Fair was first envisioned by former School of Public Health Student Association president, and now alumna, Preeti Zanwar, a 2012 graduate who earned a Ph.D. in management and policy sciences at the school. The inaugural Diversity Fair took place in 2009. That year, the lobbies, auditorium, common room and first floor classrooms at the school’s Reuel A. Stallones Building in Houston sparkled with lights, colorful fabrics, lively sounds of musical instruments and colors of the diverse cultural attire. 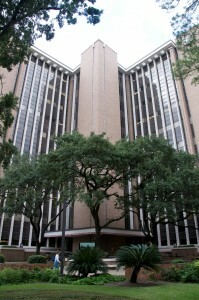 The event, which has been continually hosted by the School of Public Health Student Association, was and remains open to all Texas Medical Center students, faculty and staff. Photos of Diversity Fair 2017 are available to view on the school’s Flickr page here.